Tokyo University of the Arts (TUA) has entered into a business tie-up with the crowdfunding service provider READYFOR Co., Ltd., and launched Tokyo Geidai x Crowdfunding, a program that aims to support young artists and promote art. As part of this program, a project to restore the “Sound Sculpture” created by the Baschet Brothers will be co-launched by Tokyo University of the Arts Department of Intermedia Art Furukawa Office and Tokyo University of the Arts Factory Center. 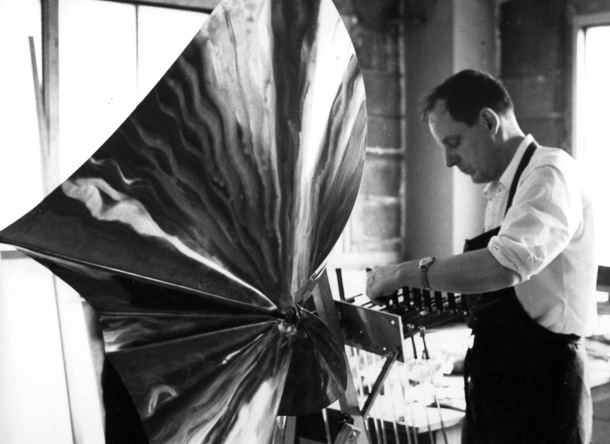 The Baschet Brothers, Bernard Baschet (1917-2015) and François Baschet (1920-2014), made sculptures that create new sounds by applying the principles of acoustics and experimenting with materials and forms. 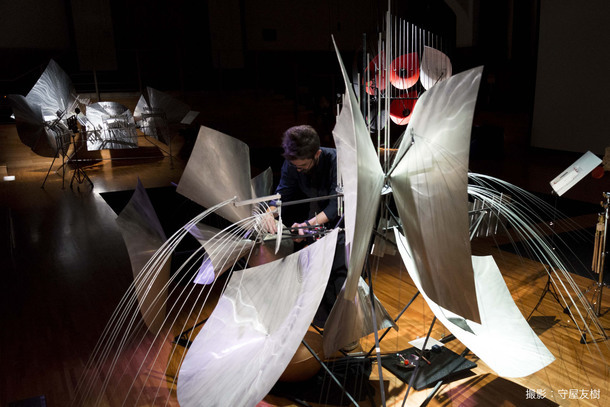 Using their original works called “Sound Sculpture”, they held numerous exhibitions and concerts, including those at The Museum of Modern Art (MoMA) in New York. François Baschet met Toru Takemitsu, who was a world-renowned Japanese composer, at the international exposition in Canada, during which he was asked by Takemitsu to create works for the Iron and Steel Pavilion of the Japan World Exposition, Osaka, 1970 (EXPO’70). 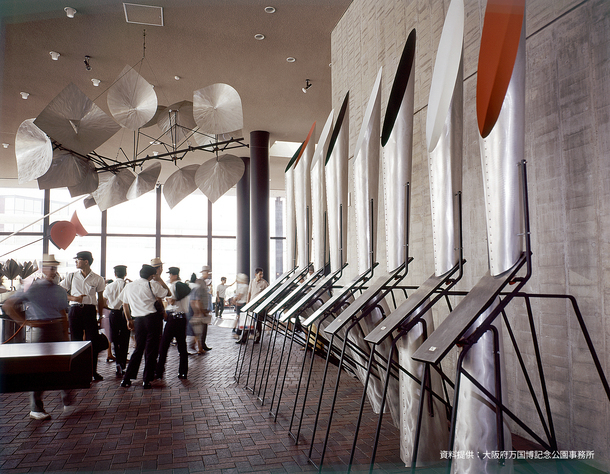 Among the 17 sculptures exhibited at the Expo’70, some that needed to be repaired were archived in Tokyo University of the Arts Toride Campus, waiting to be restored. With this as the background, this project aims to restore them through research of materials, structures, sound effects, modeling and repair methods, cooperating with the experts who were involved in other past restoration projects. The repaired sculptures will be exhibited at TUA’s Chinretsukan Gallery and utilized for concerts, workshops, and symposia. We hope that these activities through the Baschet Sound Sculpture will lead to new creations and educational outcomes at TUA. 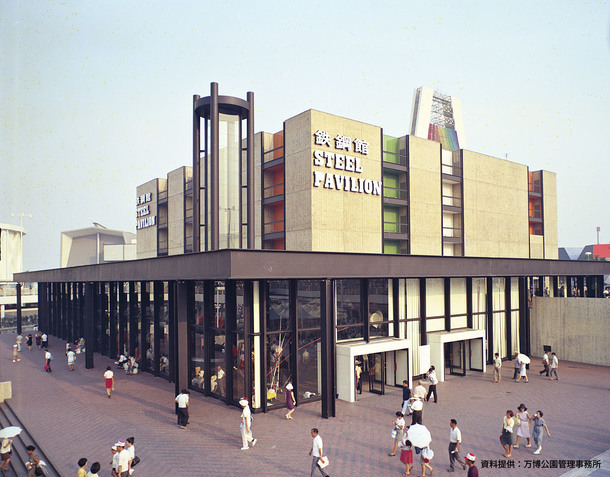 The sound sculptures which were made by the request of Toru Takemitsu at Expo’ 70 had been stored at the storage of the Iron and Steel Pavilion for a long time. One of the sculptures called Ikeda Phone was repaired when the Expo’70 Commemorative Park opened in 2010. Subsequently, a group of four instruments including Kawakami Phone, Takagi Phone, Katsura Phone, and Watanabe Phone was repaired with the support of Kyoto City University of Arts, the musician Sachiko Nagata, and the researcher Marti Ruids. 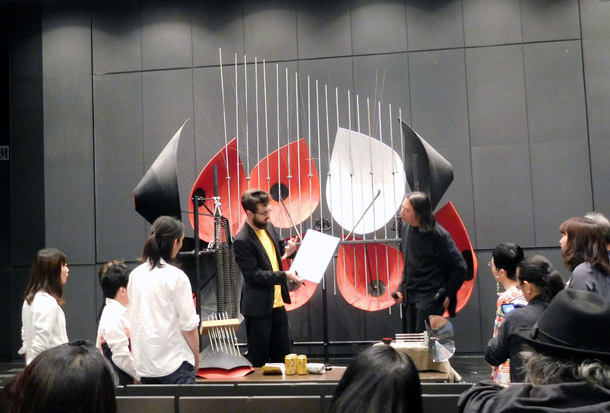 TUA hosted a symposium and concert of the Baschet Sound Sculpture at the National Museum of Modern Art in May 2015, and also a symposium themed on “Baschet Works and Restoration” as the comprehensive outcome of the past restoration projects at the Ueno campus in March 2016. In September 2016, the office of Expo’70 Commemorative Park contacted TUA to deliver the remaining pieces of the sound sculptures to the Toride campus, which made the university reconsider their restoration. The Furukawa office in the Department of Intermedia Art and Tokyo University of the Arts Factory Center jointly established a team for “Tokyo University of the Arts Restoration Project of Baschet Sound Sculpture” along with the experts who were engaged in the past restoration projects, aiming to repair these sculptures through research of materials, structures, sound effects, modeling and repair methods. 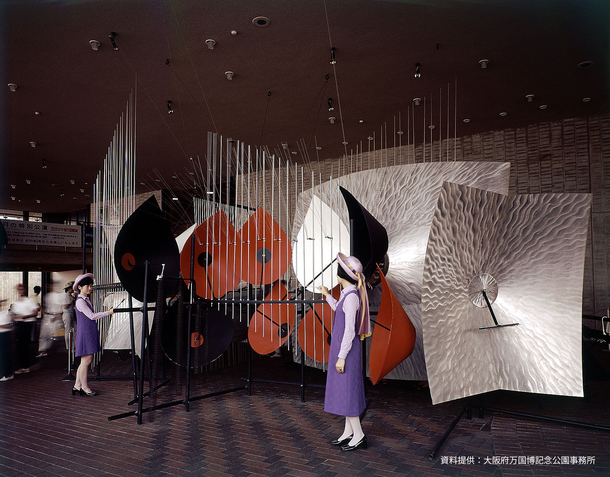 This crowdfunding project focuses on the restoration of the sound sculpture Katsuhara Phone, which is composed of 11 sound amplification cones and 3 octave harp-shaped pieces. We are very much looking forward to retrieving the unknown sounds of Katsuhara Phone, which is like a stringed instrument. At the same time, we will research and archive the remaining pieces of other sound sculptures that we have in the Toride campus. The restored Katsuhara Phone will be exhibited at TUA’s Chinretsukan Gallery and used for the related concert, workshop and symposium that are planned in December 2017. The restoration project will be carried out with the partnership of the Furukawa office in the Department of Intermedia Art, which is lead by Professor Hijiri Furukawa, and Tokyo University of the Arts Factory Center, lead by Professor Nobuyuki Fujiwara. The sound artist Yoshihiro Kawasaki and the metal artist Kou Tanaka, who are both working at TUA, will lead the research and restoration, while receiving support from Marti Ruids, a researcher of Baschet based in Barcelona. The concert, workshop, and symposium will be held with the support of Sachiko Nagata of Baschet Association of Japan, who is also a musician, and Professor Toshie Kakinuma of Kyoto City University of Arts, inviting guests form outside the project. We firmly believe that the success of the project will develop into further activities such as musical composition and performances for the Baschet Sound Sculptures and or the creation of new sound sculptures by our students and faculty members. Please support our project to restore Baschet Sound Sculpture. Your contributions are very much appreciated.